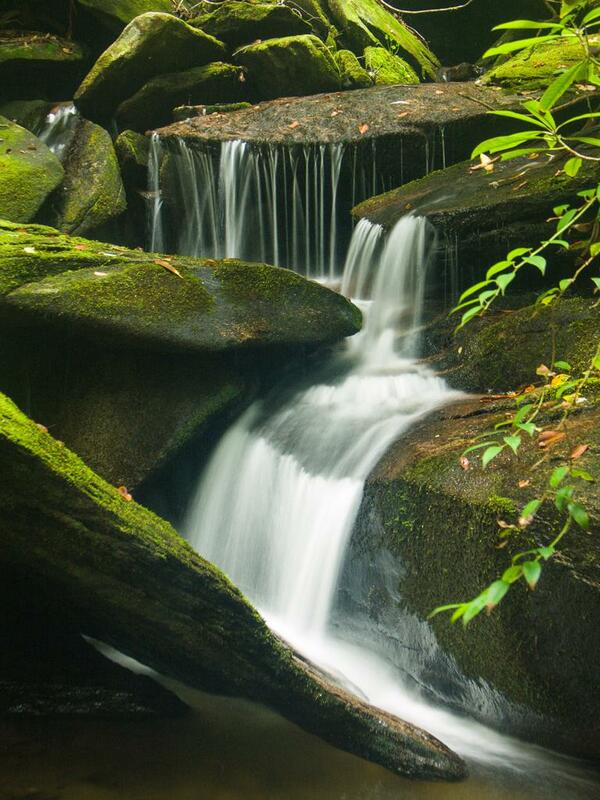 This small cascade is on Caney Bottom Creek. Just above it is a slightly larger falls, but it's very deep and dank in there and hard to get to. Further upstream are another couple of falls - both are nice and visible from the trail.